There are currently 36,332 users on this website. 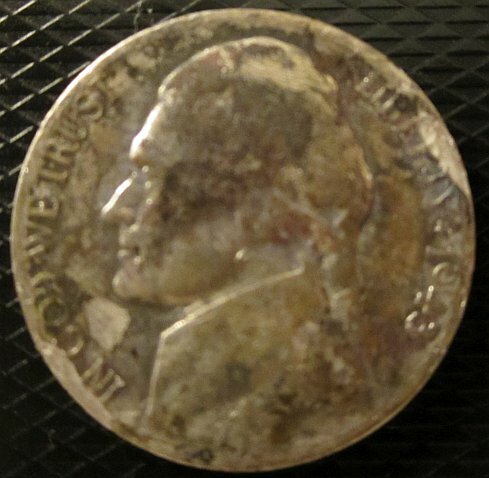 Peeling 1943 P Silver War Nickel? 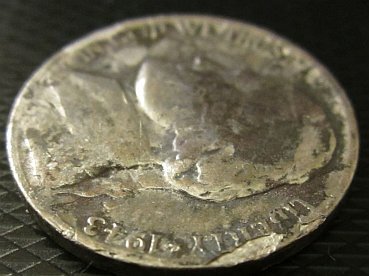 I just got a few dozen of the part-silver war nickels for the value of the silver content. With few exceptions, ugly! I think I found only one or two errors, and those were lamination problems, not any of the double strikes. I also found this odd one, and I'd welcome insight on what it is. I thought it might be paint or nail polish, but acetone did little or nothing. It looks like peeled lamination flaws on the reverse. 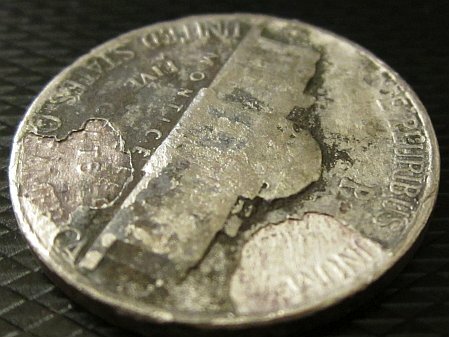 Yes the outer surface of the coin is delaminating, but I wonder if this has been helped with exposure to heat (e.g. a fire)? Those are somewhat unusual patterns for a lam error. Agree, looks like some sort of coating is peeling away. Looks like whatever was on its surfaces is now peeling off. The peeling part seems to be very thin and uniform. Is this possible with a lamination problem? 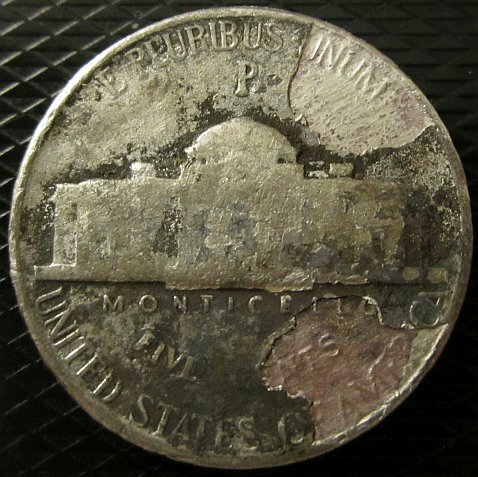 Around 5 o'clock on the reverse, there's a reddish, thinner layer underneath the outer one. Look at the "R" in "AMERICA." I just noticed something else. The "C" in "CENTS seems to be covered by this layer.